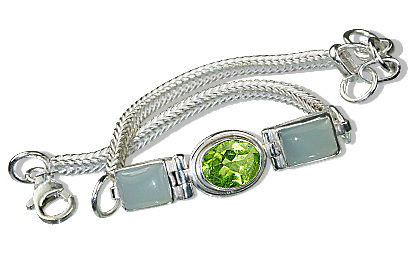 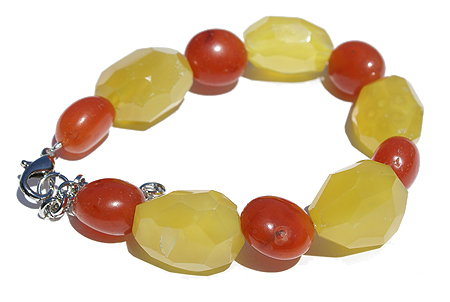 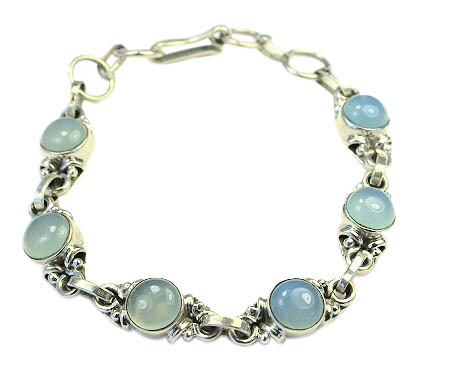 A collection of multi-colored beautiful chalcedony gemstone beaded and silver chalcedony bracelets in the most unbelievably diverse design range and rock bottom prices. 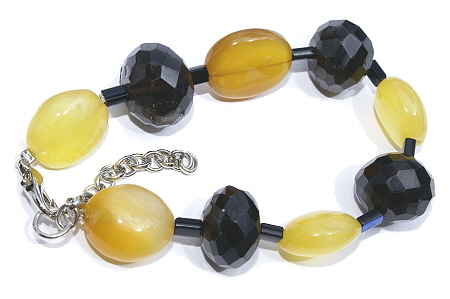 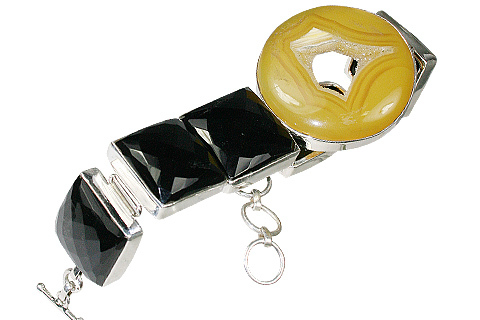 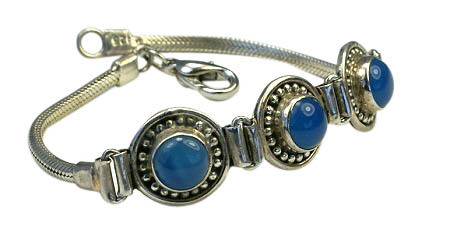 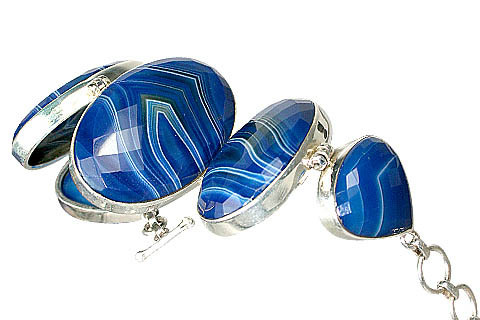 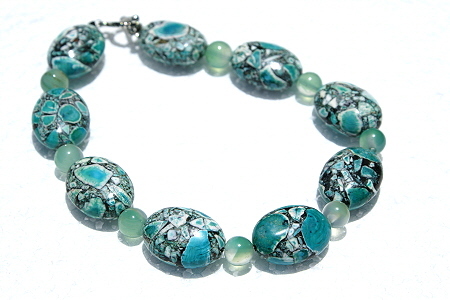 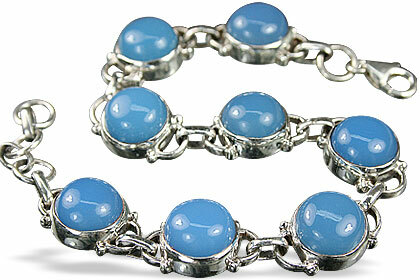 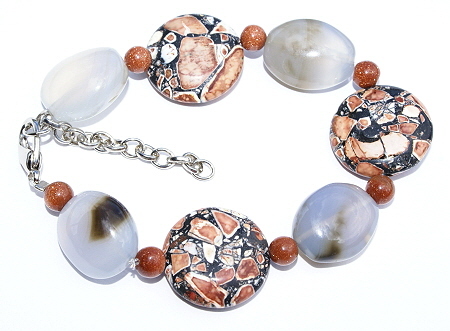 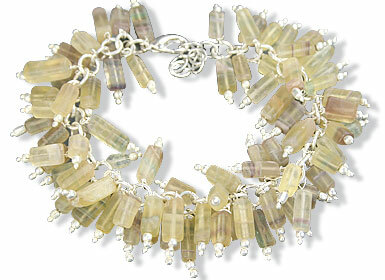 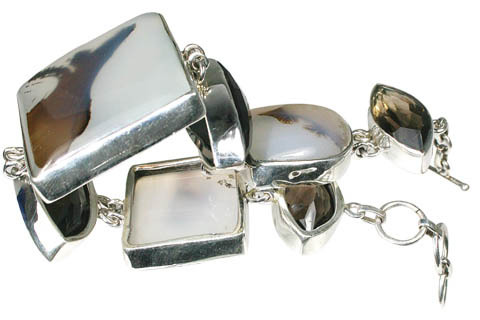 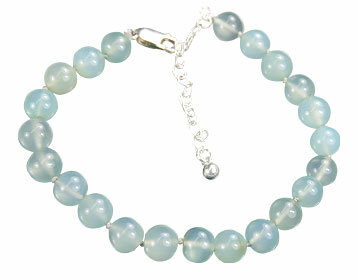 Get one nice chunky blue chalcedony bracelet or in another impressive hue and wear an attitude today. 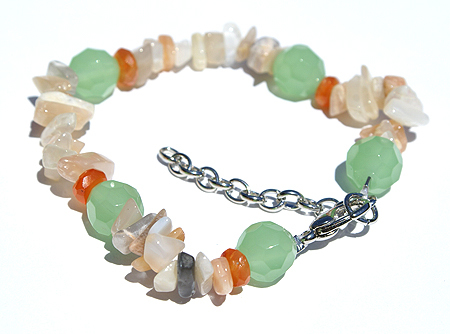 Chalcedony is a variety of the mineral quartz that occurs in in a great variety of colors including blue, lavender, white, buff, light tan, gray, yellow, pink, red, green or brown. 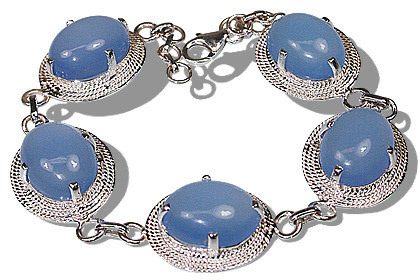 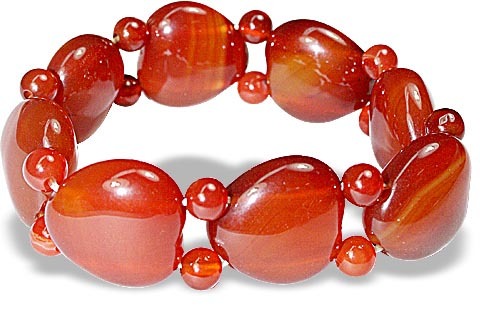 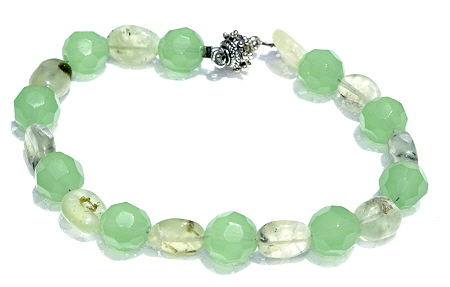 Chalcedony was used in Renaissance magic for health and safety. 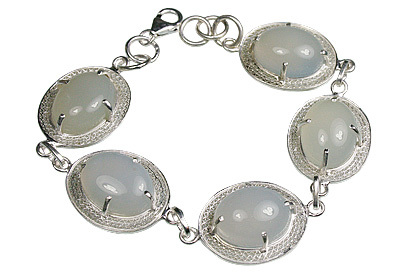 In all ages chalcedony has been the stone most used by the gem engraver, and many colored varieties are still cut and polished as ornamental stones.